Written by B. George, the Director of ARChive of Contemporary Music in NYC, and Curator of Sound Collections at the Internet Archive in San Francisco. While audio CDs whiz by at about 500 revolutions per minute, the earliest flat disks offering music whirled at 78rpm. They were mostly made from shellac, i.e., beetle (the bug, not The Beatles) resin and were the brittle predecessors to the LP (microgroove) era. The format is obsolete, and the surface noise is often unbearable and just picking them up can break your heart as they break apart in your hands. So why does the Internet Archive have more than 200,000 in our physical possession? A little over a year ago New York’s ARChive of Contemporary Music (ARC) partnered with the Internet Archive to focus on preserving and digitizing audio-visual materials. ARC is the largest independent collection of popular music in the world. When we began in 1985 our mandate was microgroove recordings – meaning vinyl – LPs and forty-fives. 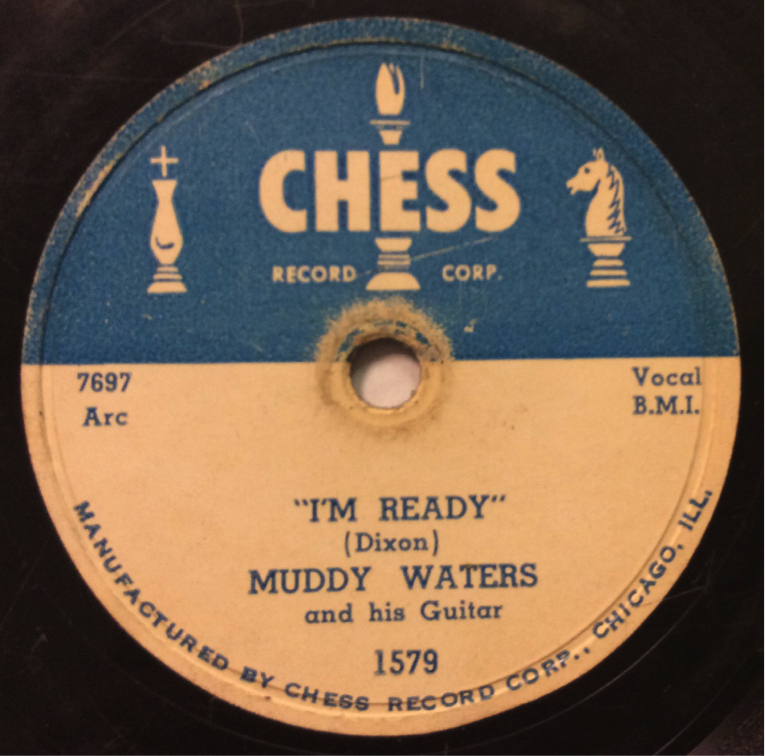 CDs were pretty much rumors then, and we thought that other major institutions were doing a swell job of collecting earlier formats, mainly 78rpm discs. But donations and major research projects like making scans for The Grammy Museum and The Ertegun Jazz Hall of Fame placed about 12,000 78s in our collection. For years we had been getting calls offering 78 collections that we were unable to accept. 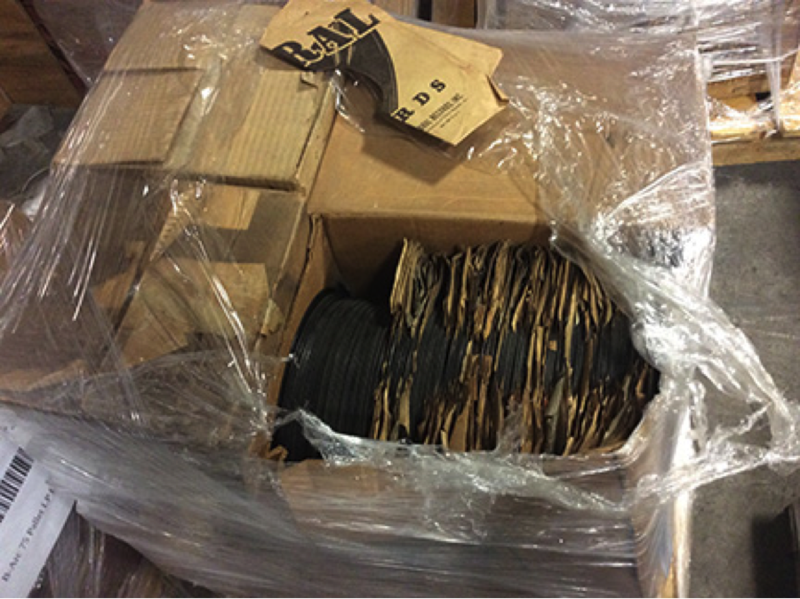 But when space and shipping became available through the Internet Archive, it was now possible to begin preserving 78s. Here’s a short history of how in only a few years ARC and the Internet Archive have created one of the largest collections in America. 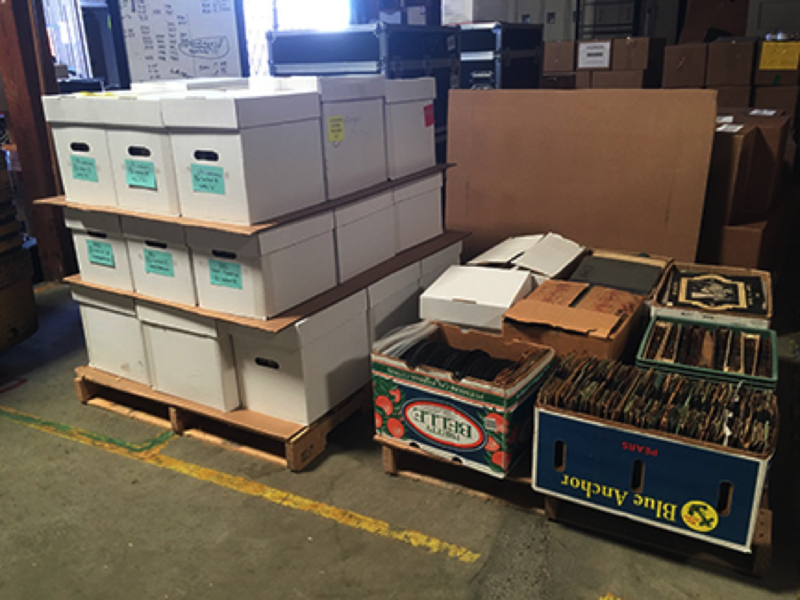 Our first major donation came from the Batavia Public Library in Illinois, part of the Barrie H.Thorp Collection of 48,000 78s. 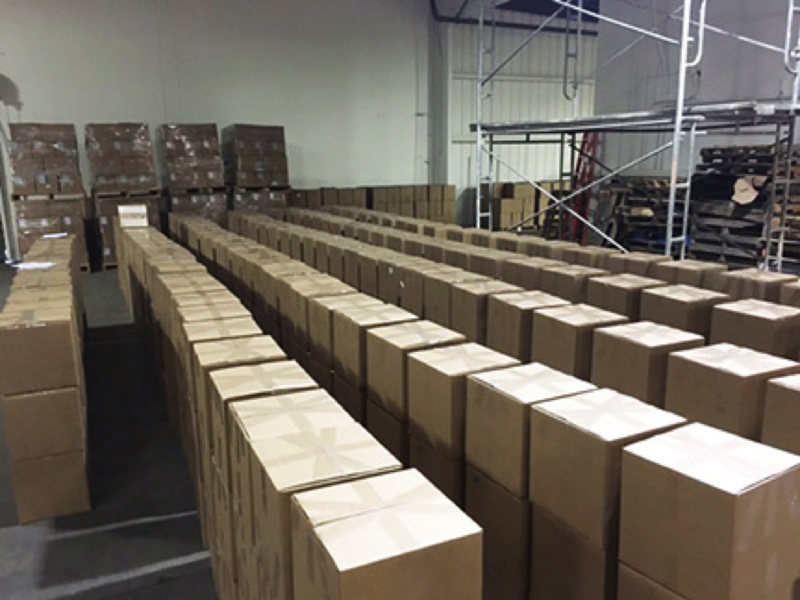 We’re always a tad suspicious of large collections like these. First thought is, “Must be junk.” Secondly, “It’s been cherrypicked.” But the Thorp Collection was screened by former ARC Board member Tom Cvikota, who found the donor, helped negotiate the gift and stored it. That was in 2007. Between then and our 2015 pickup Tom arranged for some of the recordings to be part of an exhibition at the Greengrassi Gallery, London, (UK, Mar-Apr, 2014) by artist Allen Ruppersberg, titled, For Collectors Only (Everyone is a Collector). The trick to repacking in a timely fashion is to not look at the records. It’s a trick that is never performed successfully. Handling fragile 78s requires grabbing one or just a few at a time. So we’re endlessly reading the labels, sleeving and resleeving, all the time checking for rarities, breakage and dirt. Now we didn’t do all this work on our own. 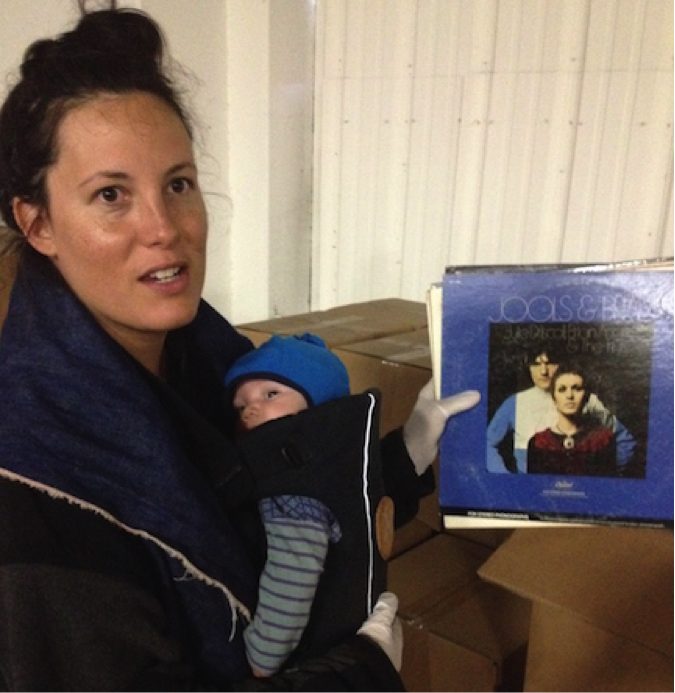 Working another part of the warehouse was two-and-a-half month old Zinnia Dupler — the youngest volunteer ever to give us a hand. Mom also helped a bit. 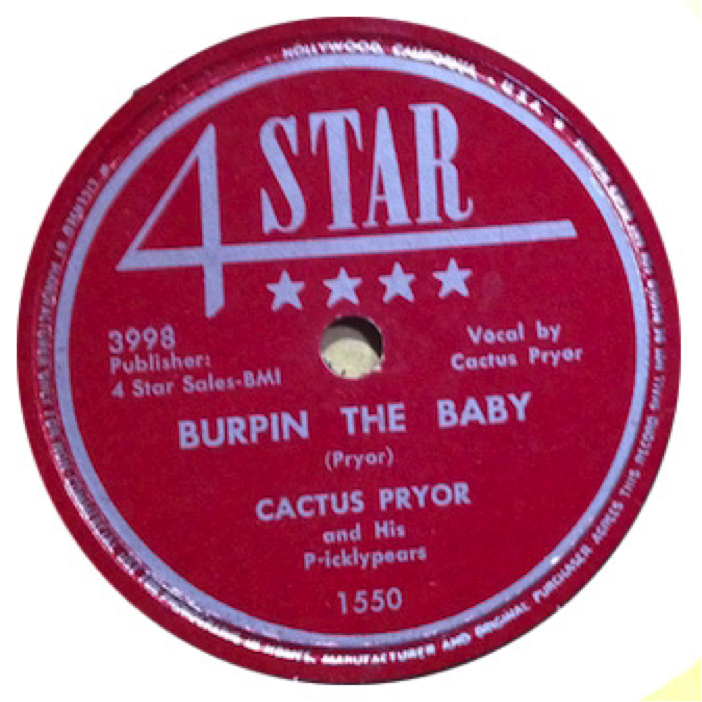 “Burpin” is a country novelty tune from out of Texas by Austin broadcaster and humorist Richard “Cactus” Pryor (1923 – 2011). It came from a box jam-packed with country and hillbilly discs. This was a pleasant surprise, as we expected the collection to be like most we encounter – big band and bland pop. But here was box-after-box of hillbilly, country, and Western swing records. Now, I use’ta think I knew a bit about music. But with this collection, it was back to school for me. Just so many artists I’ve never heard of or held a record by. As we did a bit of sorting, in the ‘G’s alone there’s Curly Gribbs, Lonnie Glosson and the Georgians. Geeez! Did you know that Hank Snow had a recordin’ kid, Jimmy, and he cut “Rocky Mountain Boogie” on 4 Star records, or that Cass Daley, star of stage and screen, was the ‘Queen of Musical Mayhem?” Me neither. The Davis Sisters, turns out, included a young Skeeter Davis(!) and not to be confused with the Davis Sister Gospel group, also in this collection. Then there’s them Koen Kobblers, Bill Mooney and his Cactus Twisters, and Ozie Waters and the Colorado Hillbillies. No matter they should be named the Colorado Mountaineers, they’re new to me. For us this donation is a dream: it allows us to preserve material that was otherwise going to be thrown away; it has a larger cultural value beyond the music; and it contained a mountain of unfamiliar music, much of it quite rare. And most of it is not available online. So Fred Patterson and the crackerjack staff out in our Richmond warehouses (Marc Wendt, Mark Graves, Sean Fagan, Lotu Tii, Tracey Gutierrez, Kelly Ransom, and Matthew Soper) pulled everything off the ramshackle pallets and carefully reboxed this valuable material. How valuable? Well, we’re really not so sure yet, despite the appraisal, as just receiving and reboxing was such a chore. One hint is this sweet blues 78 that we managed to skim off the top of a pile. The next step is curating this material, acquiring more collections and moving towards preservation through digitization. Already we have a pilot project in the works with master preservationist George Blood to develop workflow and best digitization practices. We’re doing all this because there’s just no way to predict if the digital will outlast the physical, so preserving both will ensure the survival of cultural materials for future generations to study and enjoy. And, it’s fun. This entry was posted in 78rpm, Announcements, Audio Archive, Music. Bookmark the permalink. Our local college has a collection of roughly 500 78 rpm records donated sometime in the past, tucked away in a dark corner. I am no expert on this material, but in a quick review, I found a range of very common Big Band, to extremely obscure blues and jazz. I’m glad folks are waking up to the aesthetic value of 78s, and sharing the knowledge. I’ve been featuring some of them on my shellac & vinyl radio show. Great, exciting…. (but the Jimmy Snow who recorded for 4 Star was not Hank Snow’s son — who did record, later, for RCA as Jimmie Rodgers Snow — but rather a Houston guitarist and singer). I can imagine it would have been so difficult not to look at the records you were handling, I would have spent more time browsing than working! A mammoth task but worth it! What a wonderfully incredible undertaking! I’ve known about the internet archive for several years ( I’ve downloaded a bunch of files from the site) and this looks like a true labor of love! Looks like I’ll need to pay a visit to the site again soon. Excited to see what you all find! I have a collection of nearly 14,000 78s. 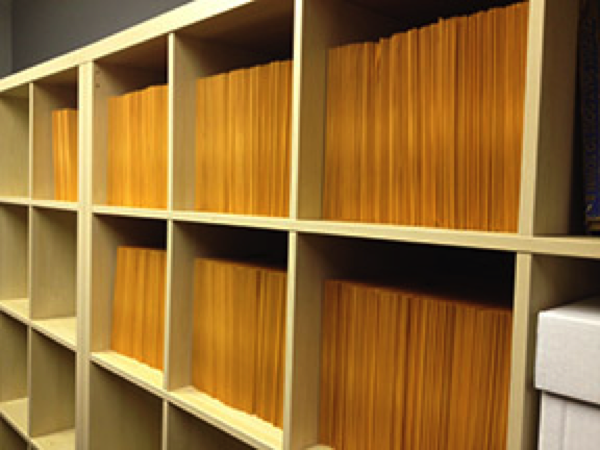 Over 11,000 have been cleaned, re-sleeved, cataloged and listened to at least once (the better ones several times). This has taken me over 12 years to accomplish. I certainly can appreciate the daunting task you folks are undertaking. I salute you. Thank you for getting this project going.